This 2D rocker is designed to provide the precise speeds and tilt angles required for a broad range of molecular and biological mixing applications. The user can adjust both parameters to match the vessel size and the volume of liquid being mixed, yielding optimum results. The rocking speed and tilt angle are both easily adjustable in seconds. 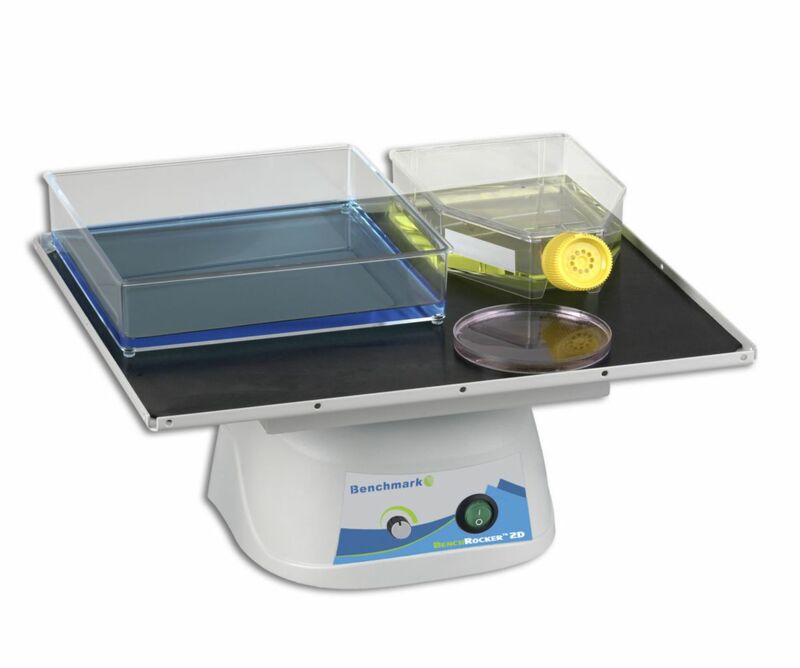 At low speeds and minimal tilt angles, the "see-saw" motion provides a gentle wave effect for non-foaming mixing, as is required for most blot washing and gel work. When set to higher speeds and more extreme tilt angles, the aggression agitation provides vigorous sample mixing.